Antiepileptic drugs are medications taken by people who are suffering from grand mal seizures associated with epilepsy. In fact, some people are prescribed with antiepileptic drugs or AED even if they are not suffering from grand mal seizures or other seizure disorders that are not associated with epilepsy. 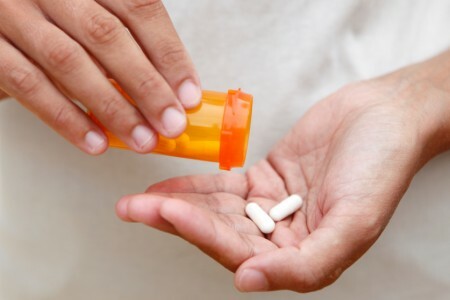 Just like any medications, taking antiepileptic drugs have key factors or important key points to remember to ensure its safety and effectiveness. Generic Antiepileptic Drugs – In every medication, there is a generic name for it. The generic antiepileptic drug is way cheaper than branded antiepileptic drugs. However, if you opt to use generic antiepileptic drugs because you can save a lot of money, always keep in mind that generic antiepileptic drugs may not generate the same blood levels and cause the same therapeutic effects as the branded one. Just make sure that the generic antiepileptic drug you are going to take is manufactured by the same manufacturer of the prescribed branded antiepileptic drug. Before switching from brand names of antiepileptic drugs, always consult your doctor. Dosage and Administration – Usually, antiepileptic drugs are taken slowly to prevent or minimize its side effects. Slowing down the administration or drinking schedule of antiepileptic drugs may delay therapeutic effects of the medication. Blood Levels of Antiepileptic Drugs – There may be slight variations of desired blood levels from one laboratory to another when it comes to antiepileptic drugs. However, desired blood levels will usually depend on the patient’s present condition, type of seizure disorder, number of seizure episodes, and side effects produced by antiepileptic drugs. Side Effects of Antiepileptic Drugs – There are different possible side effects in every class or type of antiepileptic drug. However, there are common side effects that can be produced by antiepileptic drugs including dizziness, fatigue, unsteadiness, blurring of vision, upset stomach, headaches, and weakened immune system. People who are under antiepileptic drugs are not recommended to control machineries to prevent life-threatening situations. It is very important to read the detailed information provided by the manufacturer that is inserted. Suicide Precautions – Whatever type of antiepileptic drug you are taking, the US FDA has required suicide precaution or warning. There have been reports that people who are taking antiepileptic drugs to develop serious depression and thinking of committing suicide. However, patients who actually commit suicide associated with antiepileptic drugs are not that high.